So let’s get serious here, no wait it’s Guy and Gaz who don’t usually do serious. 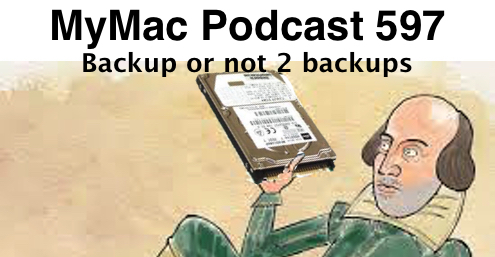 However they are talking about a serious subject which is backing up your Mac. You AREN’T backing up your Mac? Good God man Why? Also they get a Skype phone call AND an iTunes review in the same week! Macstock Expo codes: mymac20off (good through March and mymacbonus10 (only for the first ten people) and yes you can combine them. Guy’s App Pick: Call Recorder for Mac eCamm Software $30.